In addition to teaching, I also got to design the website for our chapter. We’re a group of learners and doers and wanted to have some fun ourselves. So naturally, we created a repo on GitHub so we could collaborate and I got to work on the design. 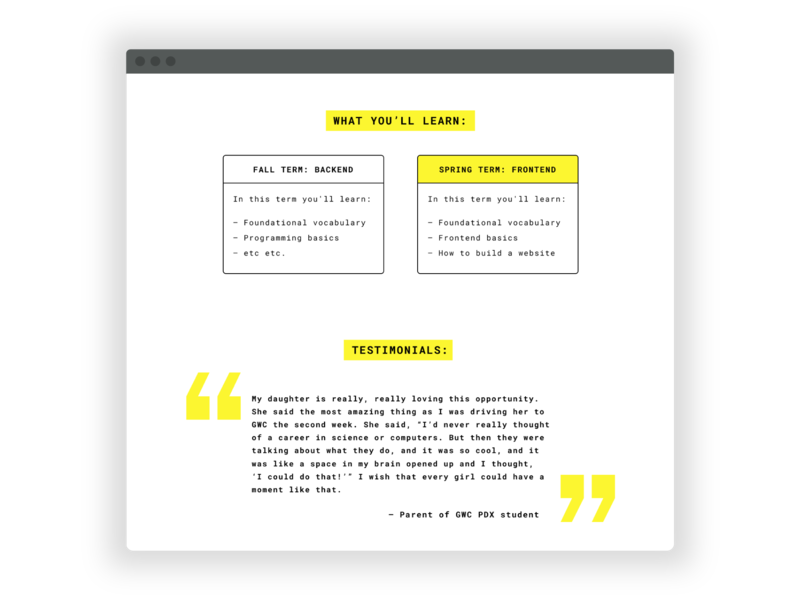 Starting in Figma, I put together a simple landing page with information on the two courses we teach, details on how to register and get in contact with us. 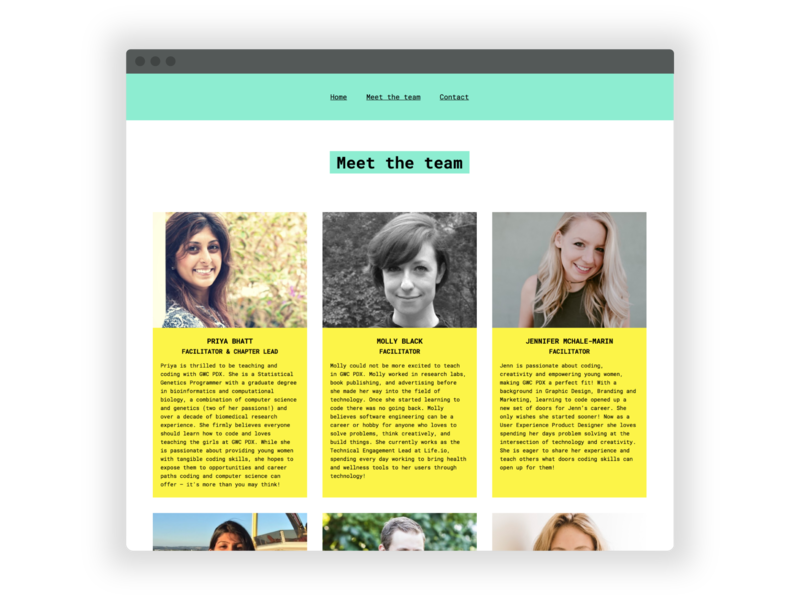 Additionally I made a Meet the Team page with all of our photos and short bios about how each of us got into coding. 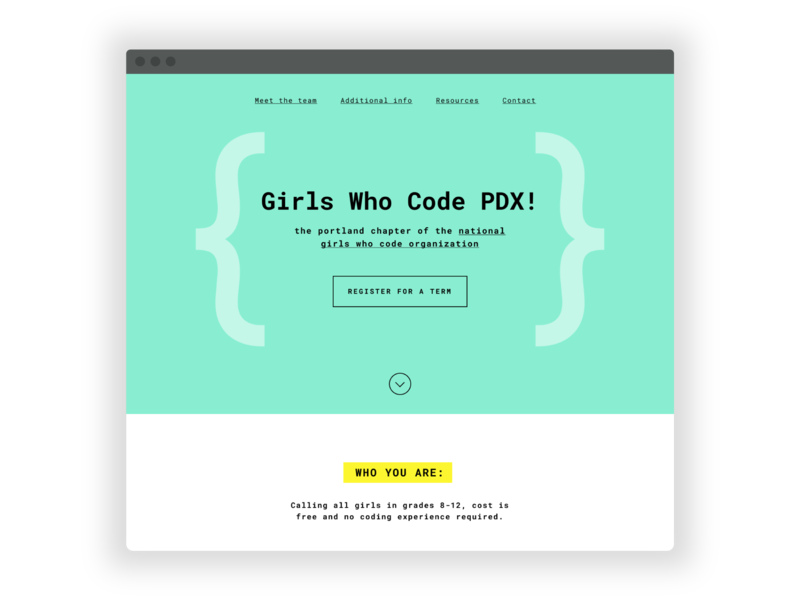 This was definitely a fun side project for me, but our chapter is very close and we’re really invested in what we’re doing and want to keep doing it for a while so it made sense to build out our resources to reflect that.